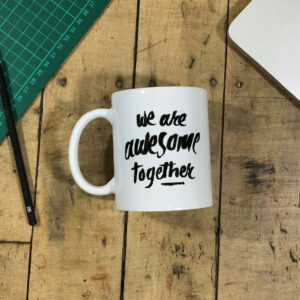 We Are Awesome Together! Show someone how much you're in to them with this mug. An original hand-drawn design printed on an 11oz mug using high-quality inks and mugs. Perfect Christmas gift.